Hey all of you sun-loving, whisky-drinking, dram-fans out there on the West Coast … This one’s for you! Click to go to their site! You probably know by now that I’m a big fan of the WhiskyLive events (see other post HERE). I’m super excited that they will be opening their doors and pouring their pours at the Hyatt Regency on Friday, October 21. If you buy your tickets BEFORE OCTOBER 1st, use coupon code INFUSIONS (yes, it’s case sensitive) to receive 25% off the ticket price!!! After October 1, this code will give you 10% off. Gotta love a promotional code, especially when it involves Whisky! I am dying to attend a WhiskyLive event. Gonna push hard for the WhiskyLive NY event in April. Wish me luck! YES! I support that push 🙂 When we get closer to that time, reach out to me and I’ll see if I have a discount code for the NY event too. I’ll definitely be there! Excellent! I will definitely be in touch. Given the time of year (work etc. of course), it’s probably a long shot, but definitely one worth pursuing. 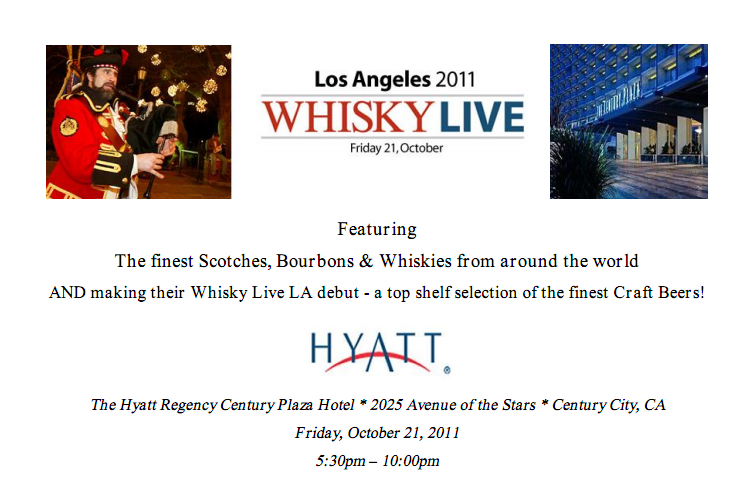 You are currently reading WhiskyLive LA (25% off coupon code!) at The Whisky Woman.